Latest on Erik Karlsson, Matthew Tkachuk, and Tobias Rieder in today’s NHL rumor mill. COULD THE RANGERS TARGET KARLSSON? NICHOLS ON HOCKEY: Sportsnet’s Elliotte Friedman wondered if the New York Rangers might target San Jose Sharks defenseman Erik Karlsson via free agency in July. Despite Karlsson’s injuries this season, he’s played well when healthy. He thinks the two-time Norris Trophy winner would love playing in New York. SPECTOR’S NOTE: Bear in mind Friedman is simply speculating here. There’s no indication Karlsson intends to test this summer’s UFA market or that the Rangers will pursue him if he does. 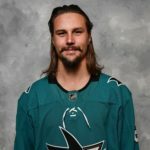 Since he joined the Sharks last September, reports out of San Jose have consistently indicated the Sharks willingness to re-sign Karlsson and his interest in staying there. Nevertheless, re-signing him will be expensive for the Sharks, who have over $57.5 million invested in 14 players with Joe Pavelski, Joe Thornton, Gustav Nyquist, and Joonas Donskoi also due to become UFAs while restricted free agent forward Timo Meier is due for a significant raise. If the Sharks can’t re-sign Karlsson, maybe the Rangers will consider pursuing him. With over $61 million committed to 17 players and all their core players under contract for 2019-20, the Blueshirts can afford to sign Karlsson to a big contract. However, they’re also a rebuilding team. Management will have to sell Karlsson on what they’re doing and how quickly they believe they can become a Cup contender. NICHOLS ON HOCKEY: Appearing on Ottawa’s TSN 1200, Darren Dreger speculates Calgary Flames winger Matthew Tkachuk could become the Flames’ highest-paid player this summer. He’s a restricted free agent coming off an entry-level contract but Dreger notes his performance and impact upon a deep Flames roster entitles him to his share of the pie. He points out the rising salary cap since the Flames re-signed Johnny Gaudreau and Sean Monahan means there’s more money in the system and to spend. Dreger suggests Tkachuk’s new salary could be between $8.5-million to $9-million per season. SPECTOR’S NOTE: I can already hear some of you saying Tkachuk doesn’t deserve to be paid more than Gaudreau and Monahan. And if the salary cap was the same as it was in 2016-17 when those two signed their current contracts ($73 million), he wouldn’t get more than those two. But Dreger’s right, the rising cap changes the market value each year. In three short years, Tkachuk has emerged as a top-tier power forward, averaging just over a point-per-game this season. At 21, he’s yet to reach his full potential. And potential is what teams pay for when they sign their young players. Some of you might not agree with it, but that’s the reality. THE SCORE: During a breakfast in Edmonton yesterday for Oilers season-ticket holder, team CEO Bob Nicholson singled out winger Tobias Rieder for the club’s woes this season. He said the team wouldn’t be re-signing Rieder, noting he hasn’t scored this season and missed “so many breakaways”, then said if Rieder had scored 10-12 goals, the Oilers would be in the playoffs. Nicholson later apologized to Rieder, saying his remarks were out of bounds and claiming the two laughed about it. Rieder’s agent Darren Ferris called Nicholson’s remarks about his client “unacceptable”. SPECTOR’S NOTE: It’s understandable why the Oilers will part ways with Rieder, who’s due to become a restricted free agent this summer. Perhaps his performance this season spells the end of his NHL career. Still, he didn’t deserve to be thrown under the bus like that. The Oilers woes run deeper than an underachieving depth forward. Nicholson understands this but if he doesn’t, he has no business being team CEO. Nicholson’s comments are right up there with Eugene Melnyk saying that we’re going to find out what kind of fans the Senators have – is there an NHL award for Stupid? Couple of prime candidates here. While I’m no fan of Melnyk, let’s just pause here and reflect on what, exactly, a “fan” is. My interpretation of what he is saying is, will Ottawa fans remain loyal while they go through the re-build. Valid question, when you consider that Leafs fans have remained loyal to their team through some arguably worst times (e.g. the Ballard years) over the past half a century of winning nothing and even over the past decade when the Senators have gone further in the playoffs (and made them ore times) than did the Leafs. Those lean years did not stop them from flocking to, not only the rink in TO but also every other frikken rink in Canada. Your version makes more sense but I just can’t stand the guy so I put the worst possible slant on all his comments. Very disappointed in Nicholson though – he could be job-hunting soon. It’s called the don cherry award. I don’t disagree with paying for potential; but lets not forget the definition of potential. I agree with paying you for what you are worth today and the value you have shown. The gamble when you pay for potential; when the player doesn’t meet said potential you then have an untradeable asset because he didn’t reach said potential. Which will have a negative impact on your ability to add necessary pieces for future success. I would be more opt to use a scale with projected rise in cap while not going 100% of the project % increase of the payroll. I haven’t looked at the numbers but as the cap grows are all players benefitting or is the increase in cap just going to the elite and the UFA when GM can’t control themselves. With no protection for the guy on his ELC maybe there should be a scale for the ELC to rise with everyone else however I don’t see the PA going to bat for the newbies but should they? Caper, the risks of signing players is a two way risk. Yes the player may turn out to be overpaid when paying for potential, but this is equally true of the player being underpaid – two good examples are Guentzel and Paternak. Players and their agents are using percentage of the cap when evaluating comparables and obviously comparing to higher priced similar talent – they will not be using Guentzel or Pasternak as their own comparables. As the cap goes up, that percentage comparable will create a higher salary demand. I’ve noted this before, the current CBA did not see this coming with so many RFAs. It to me is a huge problem as the veterans as well as the lower tiered guys (as you pointed out) will be the ones that suffer as there is only so much pie within the cap. Most good teams has very good RFAs as such, they will all fall into this situation. Eventually, every team will face this issue, it’s inevitable unless addressed in the next CBA. Edmonton Soilers : All class, all the time. These kind of comments are sure to attract UFAs to Waynes world. Singling out one player for the Oilers woes this season is classless. Rieder is no game changer or scorer, he’s a role player, a 3rd or 4th liner. Sure he hasn’t scored a single goal this season, but that shows the lack of forward depth on the Oilers roster. In his best season he scored 16. May be playing with Draisaitl would help him. I don’t think anyone can accuse Nicholson of lacking class. You have to look at the man’s body of work and career, and classless is not a word I would choose, the opposite is true. Dumb, or stupid comment. Obviously. Did he handle it right after he realized how stupid a comment it was? Absolutely. If we are now judging everybody on one bad answer, or as BCLeafan correctly stated, stupid, that was out of line then help us all. Do I think he should run the Oilers or have the GM or POHO report to him? Nope. Do I think running hockey Canada gives you the experience and hockey acumen to do so? Nope. I listened his interview on my way home today on 1260. His answers to pressing questions regarding the Oilers issue were fluff and of no substance. He didn’t sound like a guy who was in touch with the operations of the team nor how to fix the obvious problems. Is that because he is also running more than just the Oilers, maybe, but then take the team away from his responsibility. If any other Edmonton native Oiler fans heard that I would like to hear your thoughts. Caper, absolutely agree on the paying for potential; in the case of Matthew Tkachuk though, he’s already PPG in addition to being a royal pain to play against. You look at the rumours about Jeff Skinner getting 8.5-9mill for fewer points and less defensive prowess than Tkachuk and $9 doesn’t seem unreasonable; especially considering he is highly likely to trend upward. So…. was Bob admiting to the season ticket holders that there actually WERE a few sets of hands on the steering wheel besides Chirelli’s? Tkachuck at 8-5.9 is more appropriate than skinner at 9 or marner for 11. He’s a better all around player and is a beast at 21. Nicholson is a political animal and not a hockey guy. Never played never coached never a G.m. How does a guy that plays limited minutes and healthy scratched be responsible for anything . 100 % management’s fault dumb trades dumb signings dumb drafting and some dumb luck. True that SilverSeven. It takes an entire organization to be this bad for this long. He is the head of that organization. How does a player go 60 games playing with McDavid and German Gretzky? Give Matthew Thachuk 10-12 million, the “cap goes up”, just throw money around like drunken sailors, the guy never scored a playoff goal so far. If he scores really well in playoffs the. Sure give him a great raise like 8.5 million but if he pulls a Nylander and blows in post season give him less. In a few years every guy who scores 20 goals and 50 points will want 14 million. It’s a joke. Offer sheet from the Sens for Tkachuk to get both brothers on the same team? pipe dream…and Calgary would match.